In January, we reported about a Great Dane that was suffering from an injury to her cruciate ligament. Pinky, who is seven years old and approximately 170 pounds, slipped on a wet driveway and tore her right rear cruciate ligament. She was non-weight bearing on her injured leg and was unable to go on her daily walks and struggled with her normal activities such as getting in and out of the car and going up the stairs. Pinky’s owner, Rebecca, was initially told surgery was Pinky’s only option. Rebecca decided to seek a second opinion with Dr. Douglas Stramel of Advanced Care Veterinary Services. Dr. Stramel is a Certified Veterinary Pain Practitioner and offers advanced pain management techniques including VetStem Regenerative Cell Therapy and Veterinary Platelet Enhancement Therapy (V-PET™), which he recommended to aid Pinky’s ailing knee. After a simple blood collection, Pinky’s blood was run through the V-PET™ system to create an injectable platelet concentrate rich in natural healing cells. The concentrate was injected into Pinky’s injured knee and the healing cells began their work. Pinky had a fabulous response to platelet therapy and was able to resume her daily walks and regular activities! You can read the rest of Pinky’s journey here. We recently checked in with Dr. Stramel and Rebecca to see how Pinky is doing. Pinky is over 8 months out since her last treatment with platelet therapy and according to her mom she is doing great! She walks a total of about 1.5-2 miles per day and Rebecca stated, “she is full of energy and gets very excited when I ask if she wants to go for a walk. At night when she sees the motion detection lights in the backyard, she runs out the door to go chase opossums. She has no trouble going up and down stairs and does so easily.” While Pinky continues to take a nonsteroidal anti-inflammatory, Dr. Stramel pointed out that she takes a dose that is about 75mg lower than a typical dose for a dog her size. Way to go Pinky! If your dog has injured a tendon or ligament or suffers from osteoarthritis, speak to your veterinarian about V-PET™ and VetStem Cell Therapy to determine which may help your dog. In case anyone missed our recent news release, we wanted to share an exciting story about a sun bear named Francis. Francis is a 21-year-old resident of the world-famous San Diego Zoo. Several years ago, he was diagnosed with arthritis in his ankle, for which he has been receiving treatment to keep him comfortable. Last Spring, however, Francis began showing signs of arthritis in additional joints, so a CT scan was performed. The results revealed that he had arthritis in several joints, the worst of which was in his hips and elbows. Though he was prescribed additional pain medications, San Diego Zoo veterinarian, Dr. Deena Brenner felt additional treatment was needed. That’s where we come in. VetStem Regenerative Cell Therapy has been used to treat over 14,000 patients for a variety of ailments including arthritis and soft tissue injuries. The Zoo reached out to VetStem to inquire about stem cell therapy for the sun bear, after which Francis underwent a fat sample collection just like our dogs, cats, and horses do. His fat was processed at the VetStem laboratory to create injectable stem cell doses of Francis’ own stem and regenerative cells. 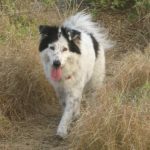 And in September 2018, with the assistance of local San Diego veterinary surgeon, Dr. Holly Mullen, Francis received stem cell injections into his arthritic joints and also intravenously. According to the article that came out in the March 2019 issue of ZooNooz, three keepers evaluated Francis before and after he received VetStem Cell Therapy and found that his symptoms were reduced and he was climbing more! VetStem received follow-up evaluations at 60- and 90-days post stem cell therapy and he reportedly continued to do well. We feel very fortunate and proud to be able to help special creatures like Francis. While stem cell therapy for zoo animals is not yet widely practiced, success stories like this may lead to broader applications of the therapeutic modality for all animals. We recently posted a blog entitled “Stem Cell Therapy vs. Surgery” but what about stem cells in conjunction with surgery? Well, stem cells can absolutely be used in conjunction with surgery and may further benefit the healing process and overall patient outcome. Stem cells are anti-inflammatory and can modulate pain. They have been shown to have the ability to reduce scar tissue formation, regenerate cartilage tissue, and restore elasticity to injured tendons and ligaments. When stem cell therapy is combined with a surgery, the animal gets benefit from both treatments. For instance, if a dog has a torn cruciate ligament that requires surgical repair, performing stem cell therapy in conjunction with the surgery may lead to reduced healing time, less pain/more comfort during recovery, and less scar tissue, which may ultimately lead to less arthritis down the road. The same goes for arthroscopy, in which a veterinarian clears arthritic joint space of abnormal bone or cartilage. Injecting stem cells after surgery may lead to healthy cartilage regeneration and ultimately more comfort for the patient. Cruciate ligament repair and arthroscopy are two common procedures that we see used in conjunction with stem cell therapy. For instance, Lady received VetStem Cell Therapy in conjunction with cruciate ligament repair surgery while Pearl received VetStem Cell Therapy in conjunction with arthroscopy to treat arthritis in her elbows. Another patient, Sheldon, received VetStem Cell Therapy after arthroscopy to treat arthritis related to Fragmented Coronoid Process (FCP) in his elbows. If your veterinarian has recommended surgery to repair a torn tendon or ligament or to treat arthritis, ask about adding on VetStem Regenerative Cell Therapy to further benefit the healing process. Or, if you would like a list of VetStem providers in your area, send us a Locate a Vet request. This week we present another veterinarian highlight telling about her experiences with Regenerative Veterinary Medicine! Dr. Holly Mullen is a Regenerative Veterinary Medicine proponent and also happens to be right in our backyard in San Diego, California. Dr. Mullen is a board-certified surgeon who works at VCA Emergency Animal Hospital and Referral Center. Dr. Mullen received her DVM from Virginia-Maryland Regional College of Veterinary Medicine in 1985. She then went on to complete an internship in small animal medicine and surgery at the Animal Medical Center in New York City (AMC) followed by a residency in small animal surgery also at AMC. She received her board certification in veterinary surgery in 1990 and was staff surgeon at AMC until joining her current hospital in 1995. Dr. Mullen has been offering VetStem Cell Therapy since 2007 and has provided stem cell services for over 60 stem cell patients. She has also been utilizing Veterinary Platelet Enhancement Therapy (V-PET™) since 2015. Explain why you’re a big proponent of VetStem Regenerative Cell Therapy. Regenerative medicine (stem cells and PRP [platelet rich plasma]) is an important part of my surgery practice. VetStem’s excellent customer relations, high quality control and careful processing and storage of the cells are a few of the many reasons I feel very comfortable using this company for my patient’s stem cell needs. Regenerative medicine offers a new frontier for minimally invasive, effective and safe treatments for many diseases and conditions. I offer stem cell therapy to the majority of my orthopedic surgical patients and arthritic patients, but it can also be used to help patients with medical conditions such as kidney, liver, bowel and skin diseases. I have offered stem cell therapy as a treatment modality since 2007, after taking the VetStem Credentialing Course for veterinarians. Since then, I have been very pleased with the high rate of successful response to treatment in my dog and cat patients; over 95% of my patients have had excellent responses to treatment. I have also participated in stem cell therapy in both a sea lion and a sun bear, with similarly good results. I am a big proponent of VetStem Regenerative Cell Therapy because I see the huge positive difference it makes in the lives of my patients and their families. Please describe your ideal stem cell patient- what criteria must they meet in order to recommend stem cell therapy? The ideal stem cell patient is a dog or cat who is suffering from a condition that we know stem cells can help with. They should be healthy enough to undergo the brief anesthetic procedure to harvest the fat from which the stem cells will be extracted. They also should not have conditions such as severe muscle atrophy that might prevent them from having a good response to treatment. Some patients with advanced cancers, in very debilitated body condition, and/or multiple serious medical concerns may not be good candidates for stem cell therapy. While often results seem miraculous, stem cell therapy cannot “cure everything”. However, dogs and cats with significant arthritis can walk comfortably, chronic wounds and fractures can heal, and post-op joint surgery patients can walk sooner and be more comfortable after having regenerative therapy. What advice can you offer pet owners considering stem cell therapy for their pet? My advice is to educate yourself now about stem cell therapy and ask your veterinarian if it would help your pet. Also, give stem cell therapy a try if your veterinarian recommends it! It is safe and effective, almost all patients have very good results and it may reduce or prevent the need for other standard medications or even surgical procedures in some cases. Be sure to visit the VetStem web site for a thorough explanation of stem cell and PRP therapies; don’t miss the testimonials to read how other pet parent’s experiences have been. Ask your friends and relatives if they have had regenerative medicine treatments themselves; a portion of my patients were brought to me by owners who knew someone, or themselves had had stem cell or PRP therapy with positive results and wanted the same for their pet. Regenerative Cell Therapy is amazing! Rascal, a mixed-breed rescue dog with one eye, suffered a cruciate ligament tear just six weeks after he was adopted. Though the ligament was surgically repaired, he developed arthritis in the joint that caused problems with his mobility as he aged. When he was around nine years old, he began walking stiffly and was having trouble jumping into the van. Rascal’s veterinarian, Dr. Deborah Fegan of Big Creek Pet Hospital, determined that he had arthritis in both knees and both hips as well. She recommended treatment with VetStem Regenerative Cell Therapy. After stem cell therapy, Rascal had a ‘renewed interest in life’ according to his mom. His mobility improved along with his energy level and he began playing with his newly adopted Lab brother. You can read the rest of Rascal’s story here. It has been almost one year since Rascal received stem cell therapy and his mom reported that he’s still doing very well! She stated, “He is coming upstairs more than ever and with no discomfort. He goes on his daily walks, and there is no need to shorten them in any way. Rascal continues to play with his brother. At this point, he is showing no signs of limping, discomfort or lack of interest in daily activities. Quite the opposite, he is having an active senior life and enjoying every minute of it.” Yay, Rascal! It is not uncommon for arthritis to develop in joints after traumatic injuries, even when surgical repair is performed. Stem cell therapy may provide long-term anti-inflammatory effects, decrease pain, and stimulate regeneration of cartilage tissue that slows the degenerative process of arthritis. If your dog has suffered a tendon or ligament injury or has arthritis, contact us to receive a list of VetStem providers in your area. We recently exhibited at the Western Veterinary Conference in Las Vegas, Nevada. This veterinary trade show is well attended due to its size, location, and plethora of educational opportunities. I spent several days in the booth along with the team, meeting and speaking with veterinary professionals from across the globe. These trade shows are always a good opportunity to connect with our current clients and educate future clients about Regenerative Veterinary Medicine. Every year, we get a lot of good questions, some of which we think animal owners would like to know about as well. Below we have answered some of the questions we received while at the conference. Why do you use fat-derived stem cells rather than bone marrow? Fat tissue has been shown to have 100 to 500 times the amount of stem cells as bone marrow per amount of tissue collected. On top of that, fat is generally plentiful and easily collected. Because of this, culturing, or growing, more doses is usually not necessary and therefore cells can be returned for treatment within 48 hours after collection – a critical time for healing of acute injuries before scar tissue has formed – rather than several weeks. If stem cells are processed with an in-clinic system, is that more sterile than if the fat is sent to the VetStem laboratory for processing? Simple answer: No. VetStem uses sterile Bio-Safety cabinets which are inside of hepa-filtered clean rooms. As clean as your veterinary office may appear, you can’t get any cleaner than a “clean room” that is designed specifically to process stem cells. We take sterility very seriously at VetStem, to the point that we may recommend delaying treatment if we feel a sample’s sterility has been compromised. Which is better, Platelet Rich Plasma or Stem Cell Therapy? When speaking in terms of healing, we believe the “gold standard” is a combination of both stem cell and platelet therapy. When the two are used together, they have a synergistic effect, meaning they work together to speed healing and reduce pain and inflammation. Stem cells have a number of jobs including the down-regulation of inflammation and pain as well as tissue regeneration. Stem cells also have the ability to home to areas of injury/inflammation. While platelets contain many types of growth factors that help attract additional healing cells, they cannot respond to cellular signals, speciﬁc tissue needs, or the severity of the injury. That being said, platelet therapy has its advantages. For one, platelets are concentrated in a closed system (unlike the stem cell kits that aren’t a closed system) right in your veterinarian’s office so there is very little wait time between collection and treatment. Also, platelet therapy is sometimes used when stem cell therapy is not financially possible. Does adipose-derived stem cell therapy work? How long do the effects last? VetStem has been providing stem cell treatments for animals since 2004. With over 17,000 treatments, including for multiple animals from the same veterinarians over the years, many have found benefit in using stem cell therapy. But we’re going to be honest and say that it doesn’t work for ALL conditions and it doesn’t have the same effects for all patients. Some patients do better than others and the results depend on a variety of factors including severity of the disease being treated, lifestyle of the animal, and the management of the patient after stem cell injection. Just like with people, physical therapy is usually part of an orthopedic treatment plan. These same factors can contribute to the longevity of the effects of stem cell therapy. We see dogs who receive one treatment and experience good results that don’t require another treatment for many years, if at all. We also see dogs with severe joint disease that benefit from repeat treatments every six month to a year. So again, it’s very case dependent. Your veterinarian can help you to determine if your pet may benefit from stem cell therapy. Why should I choose VetStem instead of other stem cell companies? There are many reasons why thousands of veterinarians and their pet owners have chosen to use VetStem services over other regenerative medicine companies. We highlighted some of the important reasons in a previous blog that you can find here. We hope these questions/answers have provided some insight into why VetStem is a leader in the field of Regenerative Veterinary Medicine. We enjoy educating our peers, be they veterinarians, technicians or pet owners! If you have further questions about Regenerative Veterinary Medicine or VetStem, feel free to contact us or speak to your veterinarian. Or, to receive a list of VetStem providers in your area, submit a Locate a Vet request here. In this week’s blog, we’d like to introduce you to one of our many VetStem Credentialed Veterinarians, Dr. Jeff Christiansen. Dr. Christiansen is a traveling surgeon that works out of Aloha Pet and Bird Hospital, Island Animal Hospital, Animal Specialty and Emergency Hospital, Maybeck Animal Hospital and a number of other veterinary hospitals. While he primarily works in Central Florida, Dr. Christiansen gets referrals from all over Florida and occasionally some other states including Georgia, Alabama, North Carolina, Pennsylvania, New York, and even Wisconsin! His company, Superior Veterinary Surgical Solutions, was founded in July 2014, though he’s been practicing veterinary medicine since 1996. Dr. Christiansen has been a board-certified veterinary surgeon since 2002 and is experienced in all manners of soft tissue, orthopedic, and spinal surgery. Though VetStem credentialed since 2008, Dr. Christiansen treated his first stem cell patient in 2012. Since then, Dr. Christiansen has treated over 100 patients utilizing VetStem Regenerative Cell Therapy and, as such, is a member of the VetStem Centennial Club. In addition to VetStem Regenerative Cell Therapy, Dr. Christiansen provides platelet therapy utilizing the Pall Veterinary Platelet Enhancement Therapy (V-PET™) kit. Dr. Christiansen has been using V-PET™ since 2015. What do you like about stem cell therapy and why did you choose VetStem as your service provider? I like the idea of improving the ability of a pet to heal and to control inflammation. When we perform orthopedic surgery, the implants we use have a finite/limited ability to tolerate stress before breaking. The sooner a pet’s body heals, the sooner the pet is out of the risk for such problems. When I do joint surgery, I know I am improving the pet’s comfort and function, but they still get arthritis over time (just a lot more slowly than without surgery); but stem cell therapy can help the pet reduce the arthritis, and protect (and potentially repair) the cartilage, and it improves the pet’s short and long-term comfort and function.I chose VetStem for two simple reasons: Unparalleled quality control and client support. I see videos and hear reports of other stem cell companies that don’t practice sterile technique, and they are harvesting/processing the tissue in the same room in which hospitalized patients are contained, complete with the airborne hair and patient waste. VetStem has tissue harvested sterilely, processes it sterilely, examines it under the microscope to inspect the quality/sterility, and performs additional bacterial or other testing as indicated. Any time I have questions or concerns, I get rapid and complete responses from the appropriate staff members, and even the CEO of the company as indicated. Service is without fail. If I place an order, I get what I want, when I ordered it, always properly shipped, climate-controlled, protected, labeled, etc. How do you select your stem cell cases? What criteria must they meet before you recommend stem cell therapy? I recommend stem cell therapy with any orthopedic surgery or as a treatment option for arthritis. I also recommend stem cell therapy for cases with spinal problems as well as for issues with kidneys, lungs, intestines. The pet must be healthy enough to tolerate a brief, minor surgical harvest, as well as an expectation to live long to enjoy the benefit of the therapy. I don’t recommend for patients with cancer or systemic infection. I also make sure the owner is realistic. Stem Cells can do great things, and sometimes a nearly crippled pet can play like a puppy again, but I make sure the owner appreciates the limitations of any therapy. Any advice for pet owners considering stem cell therapy for their pet? Most people appreciate holistic, natural options for their pets. If you could do something that would improve (and potentially extend) your pet’s daily and long-term comfort and quality of life without drugs and further surgery, wouldn’t you do it? I would also strongly encourage pet owners to get pet insurance. Because the benefits with stem cell therapy are so clear-cut, at least with arthritis, many stem cell companies pay most or all of the cost of stem cell therapy. Thanks, Dr. Christiansen, for taking the time to speak with us! If you live in or around Florida and are considering stem cell therapy for your pet, you are in excellent hands with Dr. Jeff Christiansen! Time and again, dog owners have told us that stem cells helped their arthritic dog avoid costly and invasive surgeries. While stem cells may help to regenerate damaged soft tissue and reduce scar tissue formation, is it always a better option than surgery? The answer largely depends on the situation at hand. First and foremost, let us be clear that stem cells will not cure conditions such as hip dysplasia or degenerative joint disease (osteoarthritis). Joint dysplasia is a congenital disorder of a malformation of the joint. This malformation will cause osteoarthritis which can be treated, but stem cell therapy will not realign or tighten the joint. As for degenerative joint disease, because of the ongoing nature of changes in the joint(s) due to arthritis, stem cell therapy may not stop the degenerative process. Stem cell administration may however provide pain relief due to the anti-inflammatory properties of stem cells and may also slow the degenerative process by stimulating cartilage repair/regeneration. That being said, there are some surgical options that can cure joint dysplasia. When it comes to the hips, the primary options are surgical procedures known as FHO (Femoral Head Ostectomy) and total hip replacement. With an FHO, the veterinary surgeon will remove the head and neck from the femur (the ‘ball’ of the ball-and-socket joint). As you can imagine, this procedure is invasive and not always successful, particularly in larger breed dogs. A more modern approach is total hip replacement, which is similar to the human equivalent of joint replacement where an artificial joint replaces the damaged joint. This procedure is not only invasive and costly, there are also a number of potential difficulties that may occur, which may lead to additional surgeries. Sometimes however, surgery really is the better option. Keep in mind, VetStem Cell Therapy can be used in conjunction with surgery. Administering stem cells after a surgical procedure may help to reduce pain and improve healing. Oftentimes, we hear of dog owners who were told surgery was the only option, so they sought a second opinion. Second opinions are rarely a bad idea when it comes to major health decisions. Another option is to have your veterinarian consult with a VetStem staff veterinarian. This can be arranged by having your veterinary office get in touch with our customer service team, who will set up a good time to speak with a VetStem veterinarian. Your vet can discuss your dog’s specific case and what options may best help your companion. Like you, we want what is best for your dog. If we think that surgery is your dog’s best option, we will tell your vet that. Ultimately, the decision to pursue stem cell therapy instead of, or in conjunction with, surgery is one you should make with your veterinarian. We advise you to do your research, ask questions, and seek a second or even a third opinion if you still aren’t sure. VetStem is here to help in any way that we can. If you’d like a list of stem cell providers in your area, please contact us here. Ruby received VetStem Cell Therapy and avoided total hip replacement. 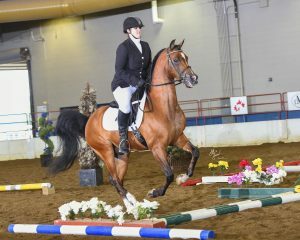 Horse Treated with Stem Cells 10 Years Ago and Still Winning! CP Merritt is a great stem cell success story. Some of you may remember a blog from many years ago about Merritt’s stem cell treatment and recovery. If not, you can read the original blog from 2012 here. Recently, Merritt’s owner reached out to us to give us an update on their beloved horse. Though it’s been over 10 years since Merritt was treated with stem cells, he continues to compete at a champion level! He was the 2018 Arabian Horse Association Region XI Champion in amateur English trail and the Reserve Champion in open English trail. You can read Merritt’s full story here. If your horse has suffered an injury that is affecting his/her performance, speak to your veterinarian about the possibility of VetStem Cell Therapy. Or you can contact us to receive a list of VetStem providers in your area.